Four picatinny-style rails for flashlights, lasers and/or other accessories. Designed to dissipate heat from rifle barrel. 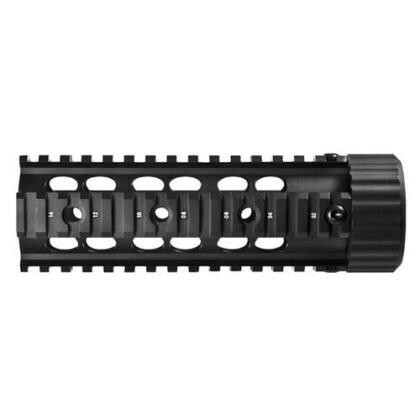 Compatible with AR-15, M16, M4 and other standard military AR carbine platforms. 2 piece free floating AR platform. Features 14 sections. Backed by a 1-Year Limited Warranty.